Strep throat is an infection that can make your throat sore and scratchy. While strep throat is most common between the ages of 5 and 15, it can affect anyone at any age. How do you tell if you have strep throat? If you are suffering from a sore, scratchy throat, a doctor can determine whether or not you have strep throat via a quick test. Strep throat is caused by bacteria that live in your nose or throat. If infected, you can easily spread the bacteria to others through coughing and sneezing. Similarly, if you are exposed to an infected person, it is important to avoid eating or drinking after them; to keep your hands away from your eyes, nose, and mouth; and to frequently wash your hands. How can strep throat be treated? Once your doctor determines that you have strep throat, he/she will likely prescribe an antibiotic, such as penicillin or amoxicillin. 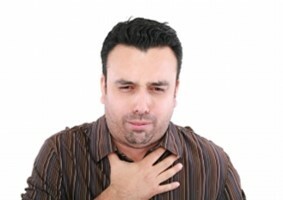 Where can I go for strep throat treatment in Winston-Salem, NC? If you’re a Tar Heel resident who’s wondering how to tell if you have strep throat in Winston-Salem, NC, you’re in luck. FastMed Urgent Care is a walk-in clinic with three locations in the area. FastMed is open every day of the year, stays open late during the week, and offers illness management, flu shots, vaccines, and more. Our facilities are clean, contemporary, and equipped with state-of-the-art equipment like Digital X-rays, EKG equipment, and on-site labs. You can’t always predict when strep throat will hit, but with FastMed, you will always know where to get treatment quickly and affordably. In Winston-Salem, we have locations on Old Country Club Road, University Parkway, and South Stratford Road. Check-in online today and feel better tomorrow!